Save the princess! 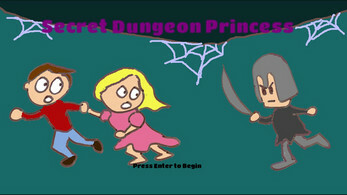 Find the princess and help her escape from a randomly generated dungeon. Be sure to evade the guards, as you have no way to fight them. You can run for short bursts before you tire out. Use WASD or Arrow Keys to move, and Space Bar to run. You can also use a controller and button A (primary button). Download the Windows executable and run (no install needed).